Asia Pacific University of Technology & Innovation (APU), and security solutions provider Tecforte. people and supporting programmes across the Asia-Pacific region. Malaysian delegates in four sessions. train two Malaysian trainers so that the new facility will be self-sufficient. 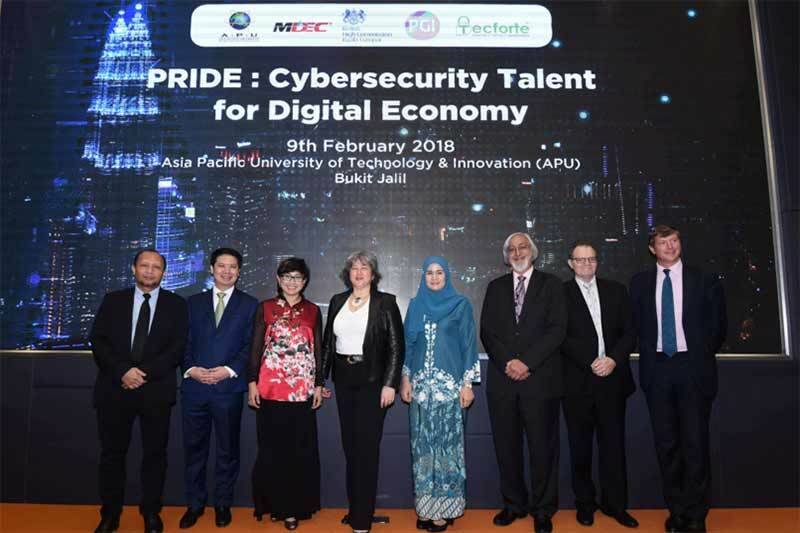 upscale cybersecurity skills capacity in Malaysia and the Asia Pacific region. well-paid cyber security roles around the world." cybersecurity incidents in Cybersecurity Operations Center by June 2018.
companies&apos; capabilities to expand to the ASEAN cybersecurity services market. add US$1 trillion to Gross Domestic Product (GDP) over the next 10 years. economy and affect its resilience. rationale for these two new initiatives.